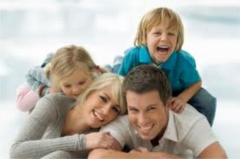 What Does Family Dentistry Cover? At Millbourne Mall Dental Clinic, we place strong emphasis on Preventive Dentistry. A preventive program is a cooperative effort by the patient, dentist, and dental staff to preserve the natural dentition and supporting structures by preventing the onset, progress, and recurrence of dental diseases and conditions. Preventing dental disease starts at home with good oral hygiene and a balanced diet. It is continued in the dental office by the efforts of your dentist and dental hygienist to promote, restore, and maintain your oral health. Preventative treatments include regular dental exams, cleanings, x-rays, sealants and fluoride which help protect the teeth again most common dental problems such as cavities and gum diseases. One ounce of prevention worths a pound of treatment. Prevention helps avoid serious and costly dental problems and is the key to having a healthy, confident, beautiful smile. As Family Dentists, we also fulfill many important functions pertaining to the children’s overall oral health and hygiene. We place particular emphasis on the proper maintenance and care of deciduous (baby) teeth, which are instrumental in facilitating good chewing habits, proper speech production, and also hold space for permanent teeth. Children (Pediatric) Dentistry primarily focuses on children from birth through adolescence. One of the most important components of Child Dentistry is child psychology. We are trained to create a friendly, fun, social atmosphere for visiting children, and always avoid threatening words like “drill,” “needle,” and “injection.” Dental phobias beginning in childhood often continue into adulthood, so it is of paramount importance that children have positive experiences and find their “dental home” as early as possible. Millbourne Mall Dental Clinic knows how important that is for you and your family to receive quality dental care. If you have any question and concerns regarding children and family dentistry please click the links below or contact our Family Dentists Edmonton, AB - Dr. Pham, Dr. Bindlish, @ Millbourne Mall Dental Clinic for more information.